In Book 4, available for purchase on January 13, 2018, Dana jumps into a case of kidnapping when her ex-husband, Pete, begs her to help him and his fiancee find their baby, Pete Jr., who has gone missing. In the process of this adventure, Dana uncovers some longtime, dark secrets that will change people's lives forever. In Book 3, available for purchase on September 23, 2017, Dana finds herself pregnant with her lover, Alex Frasier's, child, although the two are estranged. Dana's friend Marilyn, who is directing a local musical production, is trying everything she can do to reunite the lovers. Alex is one of the dancers in Marilyn's show, but because Dana has no theatrical talents, Marilyn hires her to work security for the show. In the course of what should have been a very pleasant opportunity, during one of the show's rehearsals, Dana comes upon a gruesome murder scene, and her "detective gene" kicks in. She works on discovering who committed this murder, despite the protestations of the police. And although Alex doesn't want her to get involved with detective work again, her presence at the show serves to get the two to reconcile. 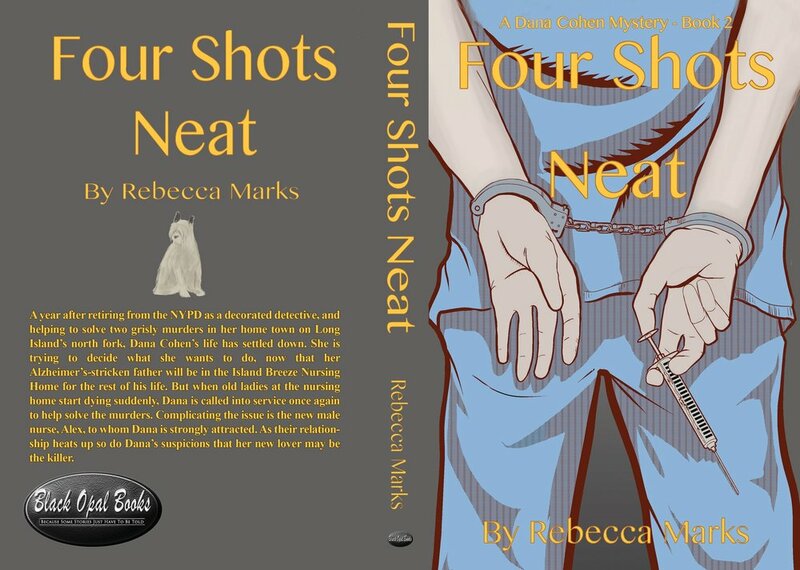 In Book 1, Dana has retired from the NYPD and moved back to her family home on the crags over the Long Island Sound to figure out what to do about her disintegrating marriage and her father's advancing Alzheimer's disease. When a grisly murder takes place at her father's winery, Dana can't help herself. She jumps in, helped by a few interesting characters, to solve the murder and get the town back to normal. In Book 2, Dana is horrified when several women, residents in her father's nursing home, die mysteriously in a short period of time. The local police chief asks her to use her investigative and detective talents to solve these murders. In the process, her marriage deteriorates even more, and she meets and is very attracted to a new guy who might provide what she needs to fill out her personal life.